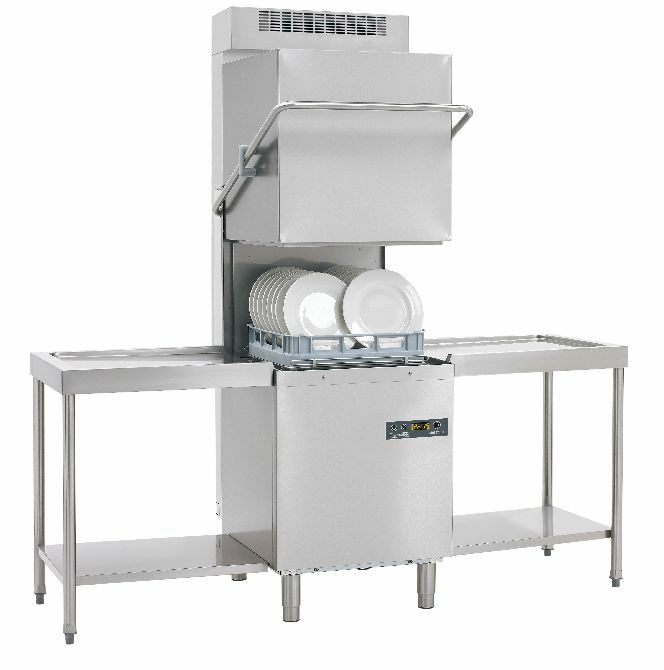 The Maidaid C1035WSHR pass through dishwasher basket/rack size 500mm x 500mm with integral softener, and heat revery reducing up to 25% less power for heating rinse water. Up to 25% less power required to heat rinse water. HR module supplied seperately with simple bolt on instructions. C1035WSHR Rack size 500 x 500mm. Dimensions W640 x D740 x H2150mm. Height adjustable from 2150 to 2205mm. 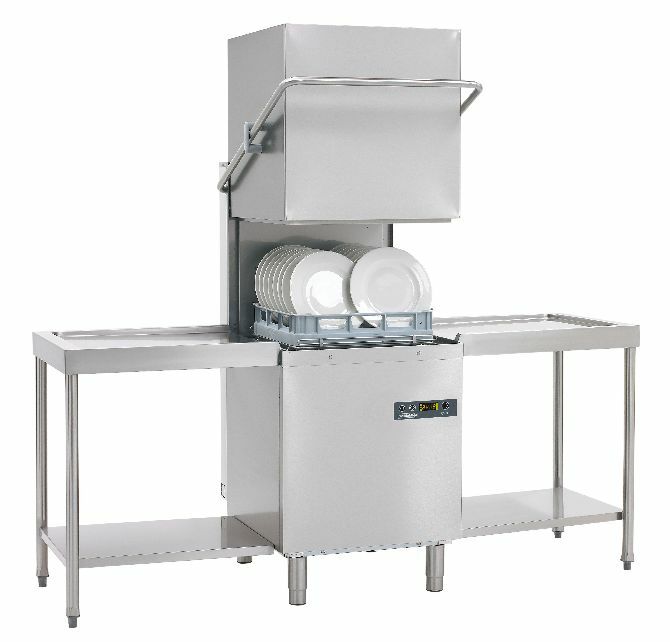 Reduces need for extraction hood and improves working environment.